A person’s true colors show when money is involved. Unfortunately, more times than not, those colors are not flattering. Money is quite possibly one of the main reasons people argue, get divorced and ruin relationships. Due to these reasons, it is no surprise that speaking about personal finances with others is often seen as a taboo subject. 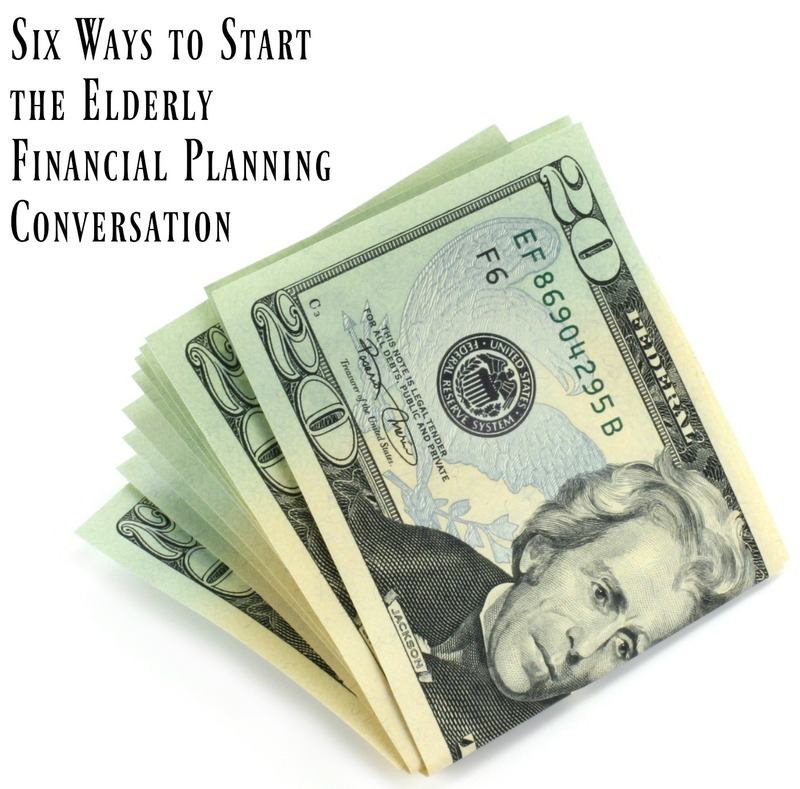 When it comes to our elderly loved ones, it is important to have an open and healthy discussion about personal financial planning and saving. Not only is it critical to have a financial plan for the future, elderly financial exploitation is becoming an increasingly common form of elder abuse, and it is important to protect your elderly loved one from it. Since October is National Financial Planning month, we thought it would be a fitting time to explore the topics of elderly financial planning and safeguards against financial exploitation. According to statistics compiled by the National Council on Aging, there are currently more than 25 million Americans over the age of 60 that live at or below the federal poverty level ($29,425 annually per person. On average, elderly receive approximately $433 each month in social security benefits. That’s not a lot. Considering a majority of elderly live on a tight income, it is more important than ever for them to have a solid financial plan to help stretch their budget as far as possible. Telling an anecdote about another elderly person’s financial issues whether true or fabricated, is a good way to get the conversation going. You could also talk about your personal finances in an effort to break the ice, or bring up “what-if” scenarios. It is no secret that some siblings have a closer relationship to mom and dad than others. Before starting the conversation with your elderly loved one, build a plan with your siblings. It is usually smart to have the sibling with the closest parental relationship start the conversation then have the other siblings follow in with support. Instead of coming out and asking directly about their financial plans, ask about their plans for the future. When they would like to retire, where they want to live, do they plan on moving to a retirement community. This will get them thinking about the future and show them that you are interested in helping plan. Start off by asking your loved ones if you can lend them a hand with stuff around the house. Maybe there is a chore or errand you could run for them that would help them out. Eventually, you can ask if there’s any other ways you can help such as monetarily. For example, many families share cell phone plans. This not only lowers the cost but also ensures they have a phone for safety. We know that it will likely be awkward to talk with your parents about their finances, but this is necessary. It is better to have a plan than be caught off guard in an emergency. The process of financial planning takes a lot of time, and well, planning. Often there are tons of documents that may be kept in secret places. The least amount of surprises, the better. If you are still feeling uncomfortable with having the talk, enlisting a professional to help can be the best route. Feel free to contact us, and we can help you find an elderly financial planning professional in your area.